With over 30 years experience in the business Chris started at a very young age of 17. Buying his own business in Reddish chris then expanded to Woodley about 12 years ago. Since then business has been fantastic. Chris prides himself on being exceptionally professional, only offering his customers top quality products which he has hand-selected. 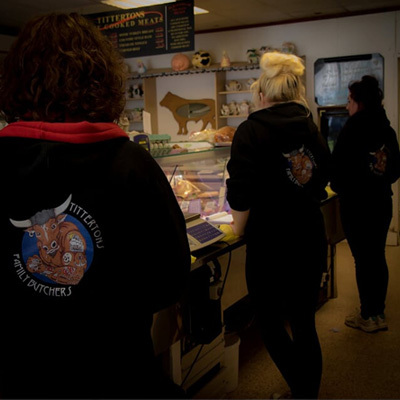 Everything that is presented to our customers has been finally butchered and prepared to only the highest standard. 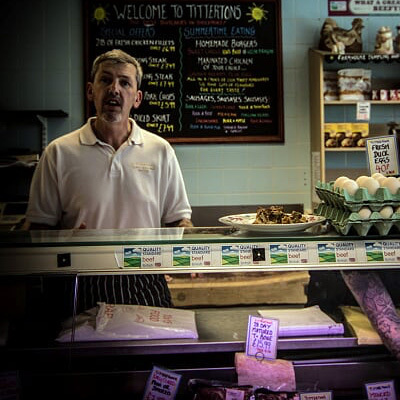 Chris is our master butcher, making sure you receive the most beautiful cuts of meat, bringing that farm fresh quality to your door. Michelle came to us over 5 years ago and is doing fantastically in our shop. It was our intention to expand and Michelle has taken up our location in Reddish so and takes care of our Internet buisness. A former Miss Titterton, Faye is the queen of our shop. She has been involved in this business all her life and is an absolute charm. Our customers love her. 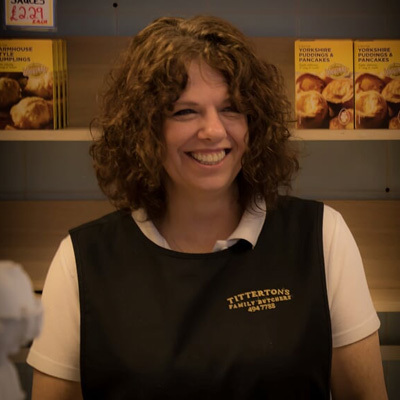 Fantastically charming and exceptionally hardworking, Faye really looks after our shop and makes sure that everyone is well managed and every customer is served to the highest standard.